Feeling chilly? Dreaming of Arizona style sunshine and blue sky? Wishing you had an awesome family vacation on your calendar this spring? 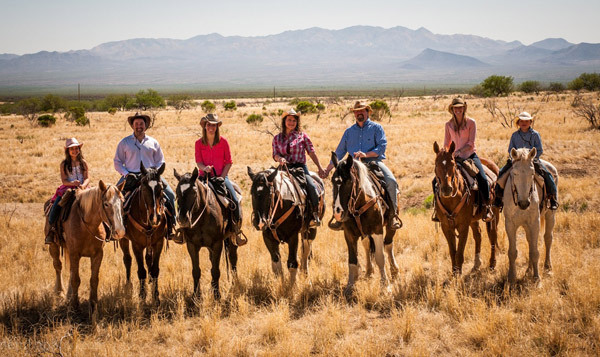 Give us a call at Elkhorn Ranch located southwest of Tucson, Arizona. Here’s a mid-season cabin availability update to help you plan a relaxing and adventurous vacation. Adults love traveling to Elkhorn solo, as a couple and with friends. Kids love the freedom of an Elkhorn Ranch Arizona family vacation. Give us a call at 520-822-1040 or contact us to make plans soon! Diane, Grace or Mary look forward to talking with you! We’ve also got an ER Web 2018 Special to provide some extra incentive!